Characteristically, young children are both humble and teachable. In fact, they will take your word(s) at face value. Because of such attitudes we as responsible adults must be very careful when dealing with children regarding Salvation. We must take the time to thoroughly cover the important points of Salvation (sin, penalty, Christ and His death, burial, resurrection, repentance, and believing). We dare not by-pass anything, including even the child’s understanding of the facts regarding Salvation. The profound thing about all this is that as great as Salvation is, even a child can get saved. So much so, that Christ actually demands child-like faith in this area of Salvation. If people are going to be saved, it is going to happen through humility and being teachable. The opposite of humility is pride, and “teachableness,” stubbornness. Pride has its roots spread out in the hearts of mankind. There is something repugnant about pride. Pride is basically saying that one is self-sufficient. Dear friend only God is self-sufficient. It was a proud Lucifer that got kicked out of Eden. It was a proud Adam, who would not own up to his sin, who also got separated from God in Gen.3. And just like that every proud individual will be kept from Heaven. Sin is what keeps the sinner from entering Heaven. If we took a survey of what people think are bad sins, many would most likely say killing, or stealing. But the Bible teaches us that the heart sins are just as wicked as the outward sins. And pride is at the heart of every inward sin. Humble people don’t argue with God. What is the problem with the atheist? A proud heart. The same could be said about the religious lost. When you ask someone how do you know for sure that you are on your way to Heaven, and they respond with asserting their own credentials, and that is the basis of their belief, then that reveals a serious defect in the matter of Salvation. Christians also struggle with pride. The disciples themselves argued over who would be the greatest in the kingdom of Heaven. 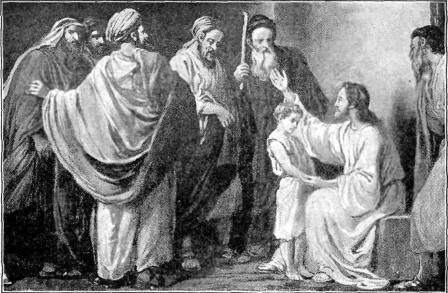 Jesus rebuked them by pointing out that the greatest in Heaven, is the “servant of all” (see Mark 9:35). God can never use a self-promoting Christian. The “notice-me” Christians have their reward here, but will have nothing for the rest of eternity. Just as it doesn’t speak well of a person to assert their own credentials in the area of Salvation, so it is with asserting one’s own self in the area of Christian service. Jesus said in John 15:4-5 “Abide in me, and I in you. As the branch cannot bear fruit of itself, except it abide in the vine; no more can ye, except ye abide in me. (5) I am the vine, ye are the branches: He that abideth in me, and I in him, the same bringeth forth much fruit: for without me ye can do nothing.” How important it truly is for every Christian to maintain child-like faith. If God tells you to do it, just do it. Child-like faith says, I am going to tithe and give what God wants me to, regardless of my finances. Child-like faith says, I am going to be the Christian that God wants me to be. I believe we fail in serving the Lord, when we rely on our own power, and wisdom. In Matt. 18:3 Christ is calling our attention to believe in Him and to serve Him humbly with a child-like faith.